The Eucalyptus-Spearmint Body Bar is a classic Cabin Fever and “life rut” tonic. For centuries the aroma of Eucalyptus has been used to clear the mind while extracts from the plant help the skin heal from a variety of ailments. The noble Spearmint has elevated the mood and alleviated the fatigue in peoples the world over. Stock up on this one! And order a few extra bars to share with friends when they get the blues. 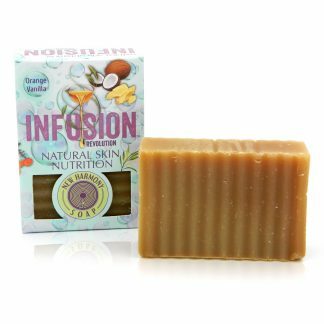 Use the Eucalyptus-Spearmint Body Bar to feed your skin New Harmony Soap’s special phytonutrient infusion that heals, protects, softens and moisturizes your body.